The Chordinator is a Max for Live device that takes a chord from an input track, and uses the note on / note off events from another MIDI bus to generate the actual note events - thus separating rhythm from harmony. This tutorial requires the PathMIDI device as well as the Chordinator device. 1. 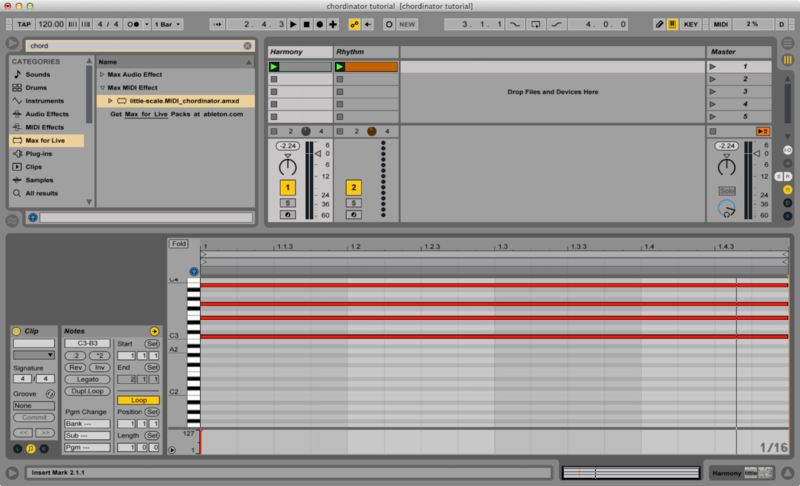 Create two MIDI tracks. One will be for harmony the other will be for rhythm. 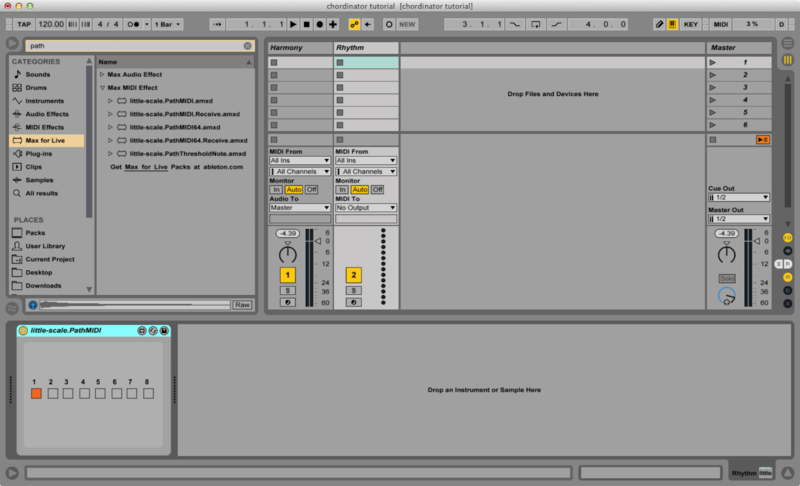 Add a virtual instrument to the harmony track. 2. Add the PathMIDI device to the rhythm track. Enable path 1 as shown. This will send MIDI from that track to path 1. 3. Add the Chordinator device to the harmony track. 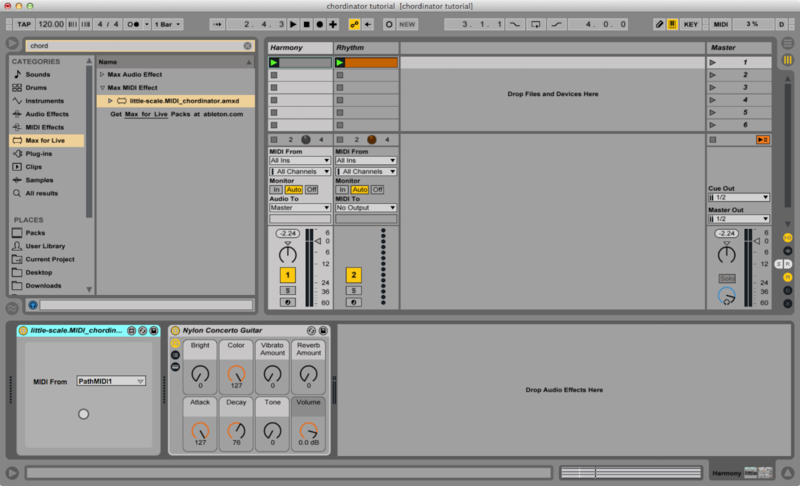 Select PathMIDI 1. This will use note on / note off data from the PathMIDI 1 bus as a trigger for the chords that have been played on the harmony track. 4. 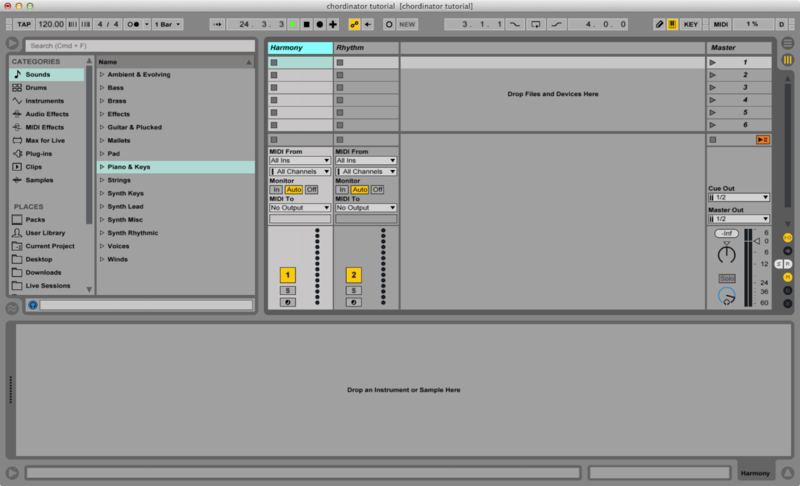 Create a new clip on the harmony track containing chord data. 5. 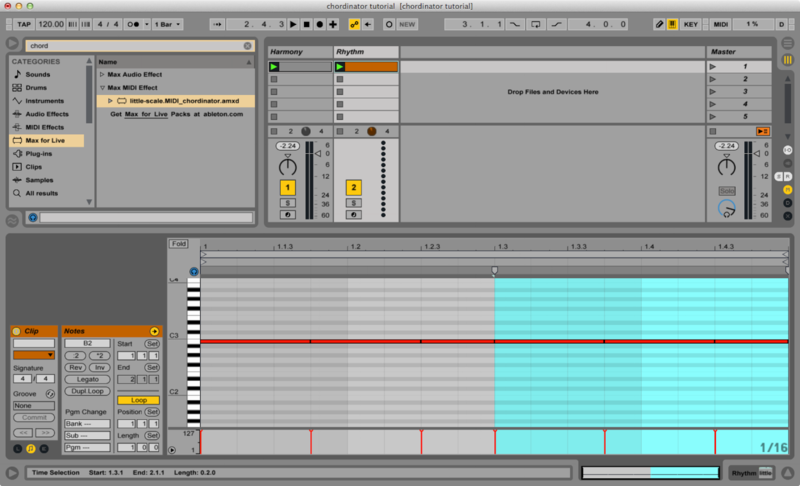 Create a new clip on the rhythm track containing rhythmic data. Trigger both clips. The chords playing back on the harmony track will be played back with the rhythm of the rhythm track. This process is shown below.